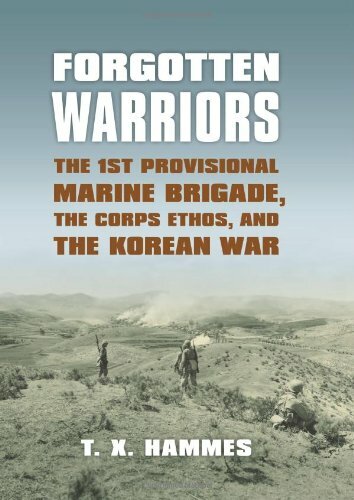 At the outbreak of the Korean War, the Marine Corps was ordered to deploy an air-ground brigade in less than ten days, even though no such brigade existed at the time. Assembled from the woefully under stength 1st Marine Division and 1st Marine Air Wing units, the Brigade shipped out only 6 days after activation, sailed directly to Korea and was in combat within 96 hours of landing. Despite these enormous handicaps and numerically superior enemy forces, the 1st Provisional Marine Brigade won every one of its engagements and helped secure the Pusan Perimeter.